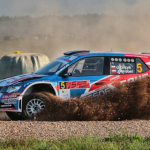 Double scored Motul Polish Historic Rally Championship (HRSMP) round emerged champions in several categories. Piotr Zaleski and Jacek Gruszczyński gained the victory in general classification and FIA 3 category. FIA 2 champions became Piotr Kiepura and Mateusz Galle. 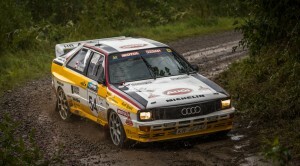 In the whole rally the fastest team was Grzegorz Olchawski and Łukasz Wroński (Audi Quattro), who won 4 of 7 Special Stages (SS). 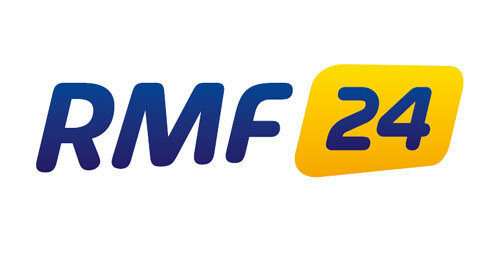 27th Rally Rzeszow was promising to be one of the most important and difficult round of this year Motul HRSMP cycle. Narrow, fast and technical Special Stages as the last rally in this season were double scored. For both drivers and co-drivers it meant that not only demanding route would be a serious challenge but also reasonable attitude to whole rally. They had to fight for valuable points reminding not to miss the effort put in whole season struggles. Before rally weekend, disadvantageous weather forecast was the big worry for many teams. 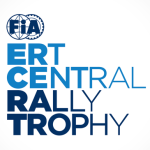 Huge heat could be problematic for 30 or 40 yo rally cars. But at the start on Saturday morning, the competitors were welcomed with heavy rain, which complicated the rally for teams that were doing the reconnaissance in sunny, dry weather. 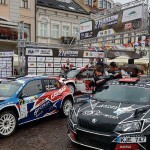 Rally started on Super Special Stage in centre of Rzeszów, which won Grzegorz Olchawski. His leading wasn’t long lasting, because after first Saturday SS, he lost it. The longest in whole HRSMP season, 26 km long SS Pstrągowa was Robert Luty and Marcin Celiński’s (Subaru Legacy) show. Olchawski admitted that he overcame the stage too conservatively and incurred losses increased his time difference between him and Luty to 33 seconds. Almost till the rally end duet Luty/Celiński ‘controlled’ the situation and they seemed to be the fastest two times in a row in this season. Unfortunately, on their way to success, stood the gearbox failure which stopped their Subaru Legacy on the last SS. Grzegorz Olchawski and Łukasz Wroński won 4 of 7 SS and in consequence they were the fastest team. They gain their first common victory in PZM 5 category. Just behind them were Dawid Smółka and Mateusz Radecki (BMW 318 iS). Rally Rzeszów was also essential for general classification of international historical categories – FIA 1-4. Piotr Zaleski and Jacek Gruszczyński in Porsche 911 SC RS get this trophy. It wasn’t easy rally for them – weather conditions weren’t favourable for their rear-wheel drive and a flat tyre made this task even harder. Piotr Kiepura and Mateusz Galle (Fiat 128) won in FIA 2 category. After Robert Luty’s resignation, in FIA 4 category won the Mazda 323 GTX team – Krzysztof Głowala & Alicja Gnatowska and in FIA 1 the winners were Andrzej Wodziński & Marek Kaczmarek (Lancia Fulvia Coupe). In national PZM 6 ‘Youngtimer’ category Arkadiusz Kula & Jarosław Janasz (Renault Megane Maxi) were the champions. They were also third best team in the whole rally. For Michał and Jacek Pryczek (Subaru Impreza 555) there was an unlucky start. Technical problems on first loop caused serious time loss but they showed incredible speed, winning the Power Stage at the end of the rally.